I found this exhibit at The Luoyang City Museum which displays archaeological objects from the region in ancient times. 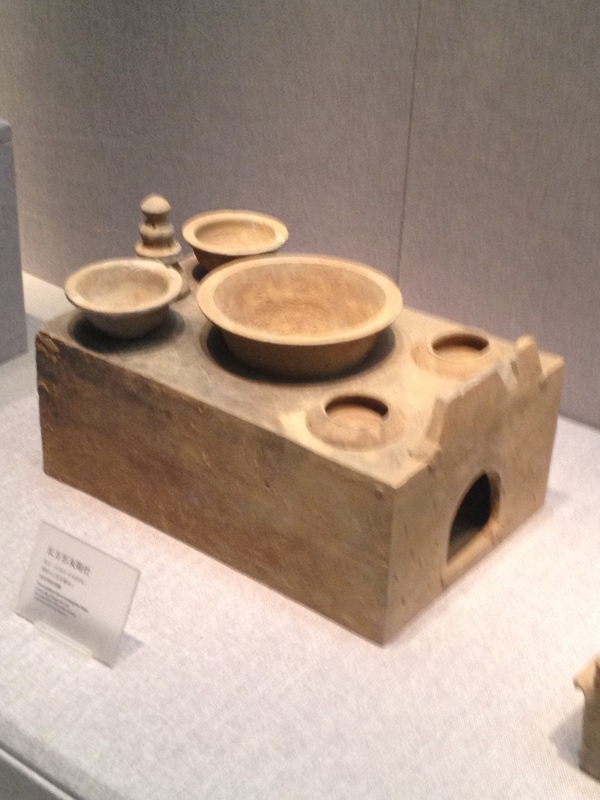 This is a stone model of the old foood serving places for the people of Luoyang. The carts of my previous post are only modern versions of the same ways of serving foods. Instead of stoking the stove with sticks and twigs to keep foods warm and water hot for broth the modern carts are probably gas lit. But the idea is the same. There is a central cooking area for the broth and the smaller containers wold be for the other food stuff and the flat areas would be for the skewers. Generation to generation for around 4000 years Luoyang has had the same food culture and the street in the previous post may have been used the same way. Culture stays the same but only the buildings have changed.